Rehoboth Beach. 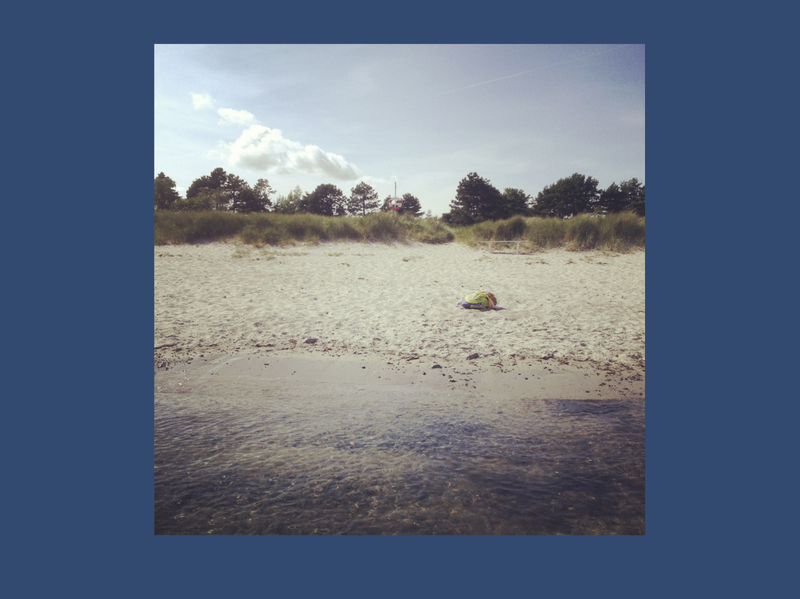 Two years ago, I wrote a blog post about our beach vacation at Marielyst in Denmark that I blended with my reflections about present-day collaborative science, which many of our readers liked a lot. Admittedly, there wasn’t all that much time for the beach ever since, but we managed to squeeze in a weekend at the Delaware beaches two weeks ago. Two years after my Marielyst post, here is what the beach told me about science in 2015. Purpose. As a large number of new subscribers has joined our blog in the last few months, some of you might not be accustomed to the more personal blog post that I try to publish from time to time. From the beginning, Beyond the Ion Channel was not only supposed to be a knowledge base for epilepsy and genes, but also a look behind the scenes of international epilepsy genetics. Part of this idea was to let people know how we think as scientists and how we find our balance between work, family life, and personal life, especially since this blog aims to address and engage some of the young researchers in the field. If you’re concerned that these topics may not be in your interest, don’t worry. We’ll still stick to our schedule of adding one gene per week to the first phase of the Epilepsiome project. But until then, here is what I learned at the Delaware beaches two weeks ago. Location. Not that I have much beach experience to make such a comment, but Rehoboth Beach is supposed to be one of most family-friendly beaches in the proximity of Philadelphia. Like many other beach towns in at the Atlantic cost, it has a boardwalk, which still feels kind of exotic for a European. Our weekend in Rehoboth was the last weekend with my parents in the US, which still make me feel a bit sad. They are safely back in Europe by now. In contrast to our previous beach post, the kids have grown older and their expectations of what a beach can offer has grown more, let’s say, complex. What an analogy to my scientific life. 1 – The destroyer of sandcastles. You stand at the beach and see these annoying and ill-behaved kids who destroy everyone else’s sandcastles. And you usually ask yourself how their parents can possibly let this happen. Now you suddenly realize that these are your own kids. Luckily, the sandcastles at Rehoboth beach were little more than abandoned and washed-over mounds of sands, but our kids found mischievous enjoyment in trampling them down – one after the other. My attempts to provide them with a proper sand fortress that even had a comfortable moat that they could sit in was plainly ignored. In science, we will sometimes arrive at a point when the people that we have educated and trained start setting their own priorities. You may feel that you have put a lot of time into helping them get off the ground, but then you might feel that little of your training actually sticks – projects are dying down due to inactivity, you don’t appreciate the direction that their research is taking, they build on some of your work without acknowledging you, or they start working with somebody else and suddenly appear brain-washed. In a nutshell, they start destroying your sandcastles. What should you do? One thing that has helped me is to realize that it’s only about sandcastles. Personal pride and stubbornness are usually the big enemies that lead to conflicts in these situations. However, on a larger scale, there will be little left of these sandcastles, anyway, when the tide rolls in. 2 – Mind the undercurrent. Both our kids were traumatized by the waves at Rehoboth Beach. I tried to take them gently into the water thinking that I could easily spot the next breaking wave and avoid being hit. I failed twice and even though I just wanted to dip them in, both of them got showered with saltwater. On a different occasion, I fell victim to the vicious undercurrent at the beach myself – I was confident that I could easily resist the surf, as the water was only knee-deep. I was pitying the poor sense of balance that all the people around me seemed to have who were knocked over. Until – bam! – it hit me and I was forcefully swept off my feet. These things have never happened at the well-behaved Baltic Sea. To me, this is an analogy to some of the aspects of my current situation: trying to adjust to a new environment and sometimes being swept off my feet since my judgment was off and my expectations needed to be re-calibrated. Projects take longer, seemingly well-established workflows need to be redesigned, and some difficulties arise that you didn’t even know to exist. After a while, you’ll get it. But expect the undercurrent to get you off your feet once or twice. 3 – The hotel pool and seashells might be just as good. You have the beach and the ocean in front of you, but what do your kids prefer? One wants to spend hours collecting the few seashells that you find at this part of the beach and the other one prefers the tiny hotel pool to the ocean. After scratching your head and numbing down all the voices in your head that want to remind you that you could have had the same experience at your local YMCA, you realize at the end of the day that everybody had lots of fun. This is maybe the final thing that the beach has told me about science: it’s not about the beach. In some of my earlier posts I wrote about our motivation for science. It is tempting to think that we engage in science because of higher goals or, more pessimistically, because we simply want to further our own career. I have always felt that there is a strong social component to why we are doing what we’re doing and the self-determination theory of motivation stipulates that we need the feeling of competence, autonomy and social connectedness to feel motivated. And this is what collecting seashells or splashing around in the pool gives a child – it’s what they choose, what they’re good at, and what they can do with others. The same is true for scientific projects: it is easy to present your doctoral student, PhD, or fellow with the entire ocean, assuming that they will bring up the motivation to dive into it by themselves. However, if they want to, let them collect seashells and use the hotel pool first. This entry was posted in Motivation and tagged Rehoboth beach. Bookmark the permalink.